3D architectural visualization is a digitized transformation of visualization, that is an old age concept. From cave paintings to drawing a new cave structure on the mud – visualization is a great concept that showcases the ‘object’ before it gets brought to life. This concept plays a crucial role in the process of construction today. Money talks? No. 3D visualization architecture does! Too many employees of the month? According to online research, ‘The CGarchitect 2009 Industry Survey showed that 85 percent of commercial projects and 79 percent of residential projects were using architectural visualization at the time’. That in itself is massive for the year 2009! We are in 2018 and today 3D architectural visualization is transforming the construction industry in a gigantic way! It has proved to be a game changer when used for building a workspace. 3D visualization studio in USA helps in communicating the design of an office space with a higher clarity. It leaves no room for misinterpretations! In a workspace, 3d visualization architecture shows the new structure and layout in a 3D view offering a realistic effect and a complete 360 view of the interiors and exteriors! The clients are able to understand the design and space in a more meticulous way! A workspace needs elements that are very unique to the culture and work life it’s going to reflect. 3D visualization helps in tapping into these components to ensure it fits the needs of a functional yet a fun workspace. Workspaces are no longer a layout full of boxed patterns. Every organization is trying to be unique and trendy to attract ‘suitable’ and relevant employees. For today’s millennial segment, how an office looks and feels makes a tremendous difference. 3D architecture software adds the much-needed 3D effects to facilitate an immersive experience and gather minutely detailed responses from the clients and stakeholders. We know exactly what we want and what more can be done to create an inspiring and motivating space for employees! 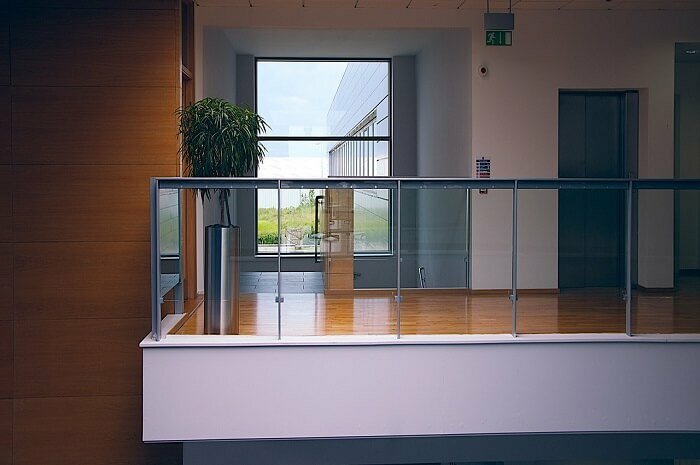 It’s important to know what role 3D architectural visualization plays when creating that perfect office! If we would have asked you to visualize your office in the year 1988, most of you would be able to see quite clearly – they were ‘almost’ all the same. If I ask you to visualize one now? You cannot pen it down, can you? Well, this is where 3d architectural visualizer comes in! Yes, enhanced understanding is one of the key benefits of architectural visualization and 3D Rendering Services. Clients no longer need a clarity hat, they use a creative one! The design is so clear that they know exactly what the structure and space is going to look like! What this concept helps the clients to do is to add more ‘unique’ elements and think out of the box. They no longer spending time in understanding the design. Along with architects, they brainstorm on the elements that can add value to their workspace. This is a HUGE boon because anyone can create an office… but creating one that reflects a culture is needs time. With augmented reality architecture and VR architectural visualization there is all the time in the world! “Money, money, money, always sunny, in a rich man’s world.” Well, it’s quite sunny even when you don’t have a huge pile of it to invest for an office space. Simply because, over the decades, the cost of this process has dropped quite a bit. Today, there are quite a few cost-effective architectural visualization and 3D Rendering Services to select from. The software used for 3D architecture helps in saving both time and money – the renderings are accurate and precise! Even the changes in the design can be integrated before the actual work begins. Imagine adding those creative plans and ideas once the work has started. The outcome is delayed projects and additional expenses! Using visualization can do wonders to a workspace! The architects and designers are able to showcase a realistic effect by adding the ‘additional’ components. Say if your workspace needs a reading corner or a library, adding bookshelves (along with books) can really give you a real picture of what to expect from it. This even works beautifully when architects use the designated software to add the other fixtures, lighting, colors and textures in the design. You can actually see how your work evening hours is going to feel like! Amazing, isn’t it? We will repeat this statement. This is important. What your workspace will look and feel like will matter to the employees. The environment and culture make a huge difference and what enhances it? The exteriors and interiors of your workspace! Need we say more? Maybe, we will. Employees today do notice what an office space feels like, they check it online or when they walk in for an interview. In fact, it does become their second home. Your workspace can attract the best of employees. Yes, it can. It can also help your employees to be more productive and creative! 3D architectural visualization can help you create this in a more effective form! Once the basic design is ready, you get the opportunity to add that attractive ‘zing’ to your space! You want your workspace to stand apart from competition? The solution is architectural visualization and 3D Rendering Services! It can display extreme visual capabilities and help you brainstorm and create an incredibly motivating and innovative space for your employees to work in. Workspace matters and the winner does take it all! Create real work ‘positive’ feelings with 3D architectural visualization. 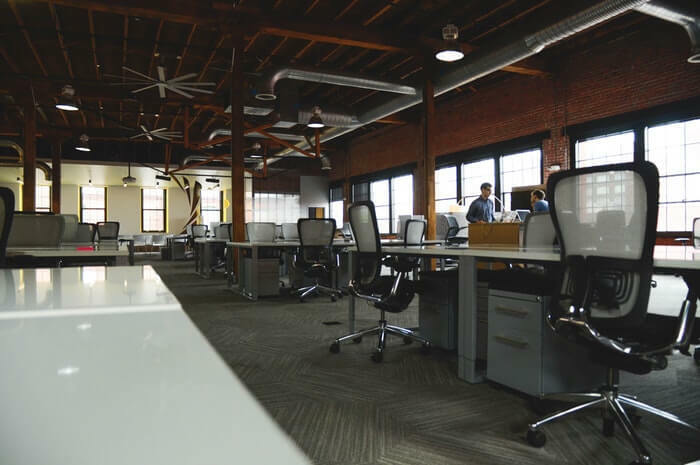 Get a reality check on the benefits of a workspace design and eliminate the negative aspects! Chat with our team at BluEntCAD to gain insights into what your new workspace should be like!